Usually NPCs are used on servers as workers, cashiers, sellers and helpers, but what if you want to add an npc to a single game? This is possible with the help of the NPC Addon which adds new artificial players to any of your worlds. 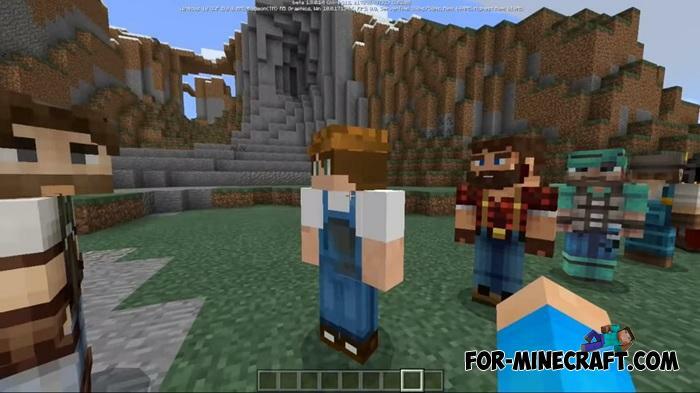 Alas, but they are not movable and do not know how to work, talk or perform any other actions in Minecraft. Their main goal is to make the game more natural. That is, such NPCs are ideal for shops, restaurants as invented owners. They may have a name but cannot talk, unlike similar modifications. Summon any NPC in the right place (/summon npc:[name]) and give it a name with tags. After that, the NPC will stand indefinitely and will delight random players or you alone with its presence. You can also change skins if you know a little about the structure of MCPE addons. 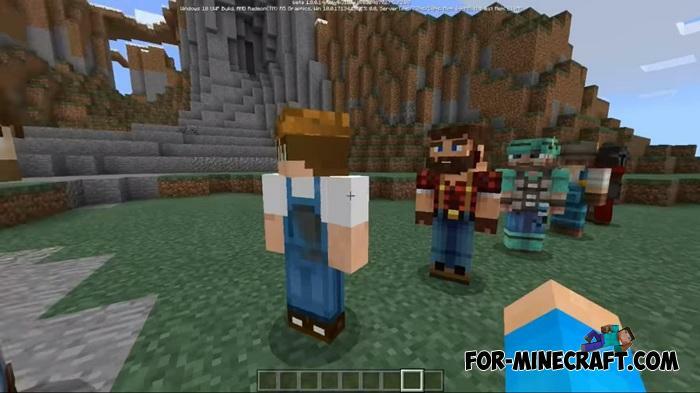 The NPC Addon supports the latest versions of Minecraft Pocket Edition 1.8 and 1.9. How to install the NPC Addon?